Just when you thought Mike Mignola’s cigar-chomping demon had been sentenced to development hell in perpetuity, earlier this week, we learned that Neil Marshall and screenwriter Andrew Cosby are all set to summon forth a new interpretation of Hellboy starring David Harbour (Stranger Things) as the titular entity. Neither Guillermo del Toro nor Ron Perlman are actively involved in the reboot, after both director and star called time on the fabled Hellboy 3 exactly three months ago. That leaves the field wide open for Marshall and Cosby to take a crack at the Mike Mignola’s glowering anti-hero, and renown concept artist BossLogic has now turned in a striking new piece that imagines Harbour in the title role. As relayed by ComicBook, the suitably hellish one-sheet places David Harbour front and center, replete with fiery orange eyes and those iconic, broken horns. 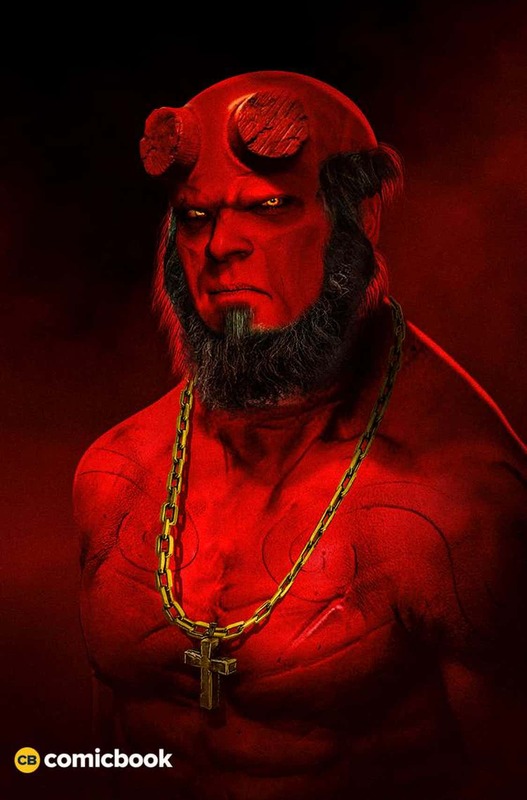 Your knee-jerk opinion of BossLogic’s artwork will no doubt hinge on your allegiance to Ron Perlman’s incarnation of the red-skinned demon. 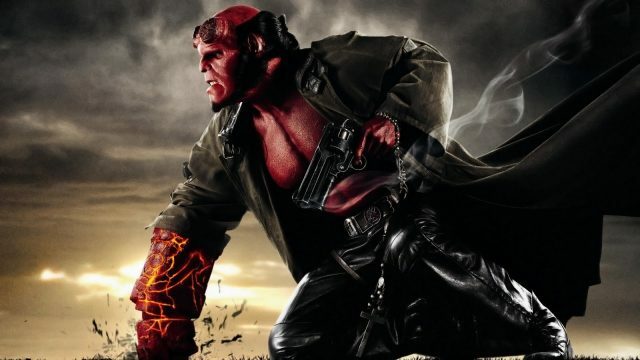 For many, Perlman was Hellboy, and his decision to walk away from the franchise alongside del Toro leaves some mighty big boots (or should that be hooves?) to fill. Take nothing away from David Harbour’s appointment; all throughout Stranger Things season 1, the actor commanded the small screen as Jim Hopper, and that nuanced, reluctant hero is arguably a fitting primer for the title role in Hellboy. Alas, it’s far too soon to form a concrete opinion on Harbour’s casting, but at the very least, the artwork below allows you to visualize him as the otherworldly hellspawn. Against all odds, the World’s Greatest Paranormal Investigator is bound for the silver screen once more. Neil Marshall, Andrew Cosby and David Harbour are all involved in the project tentatively titled Hellboy: Rise of the Blood Queen, which will seemingly be “darker and more gruesome” than its cinematic predecessors.